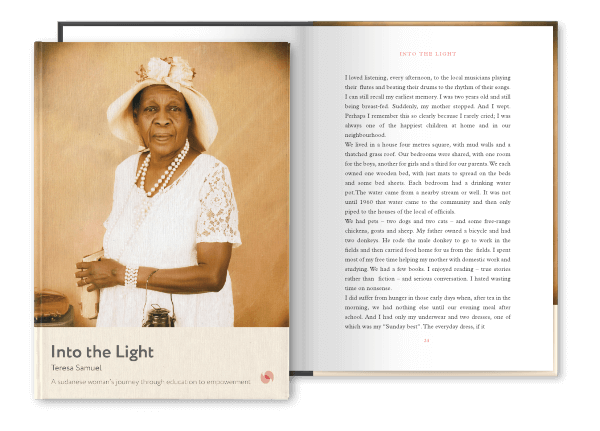 Story Terrace is revolutionizing the way we think about our heritage with a simple idea: a biographer for every person. 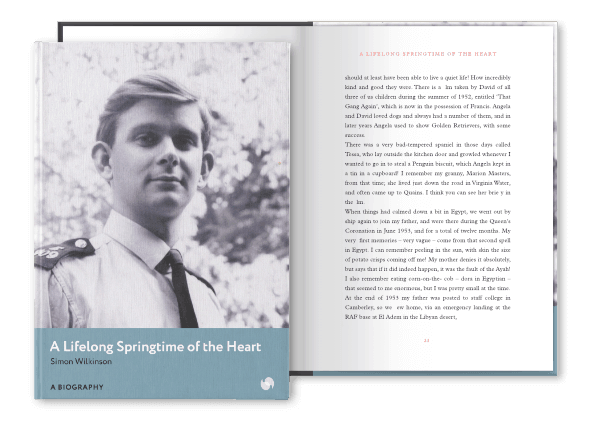 By matching ordinary people with professional writers, we’re making sure that in 50 years time, everyone can read about their parents and grandparents. Your beautiful, hardcover, full-color memoirs are delivered! Our professional writers are journalists and authors recruited from leading national newspapers, world-famous publishing houses, and the most prestigious universities, creative writing courses and journalism programs. "Story Terrace’s flexible and informal, but professional approach and the reasonable price suited me well — so I could relax, trust and open my heart, ensuring that my intention was understood correctly and the text captured my authentic voice." "Story Terrace was at all times caring and helpful during a sensitive process. It's a hardcover with shiny pages and lots of photographs - and I think everyone should do it. I'm lost for words. I would recommend that people did it because it's a great thing to pass on to your children and grandchildren." "I loved Amy (my writer). She was a delightful person. We had 3 sessions which she recorded. She then made a great 1st draft. I would give the overall experience a 5 of 5. 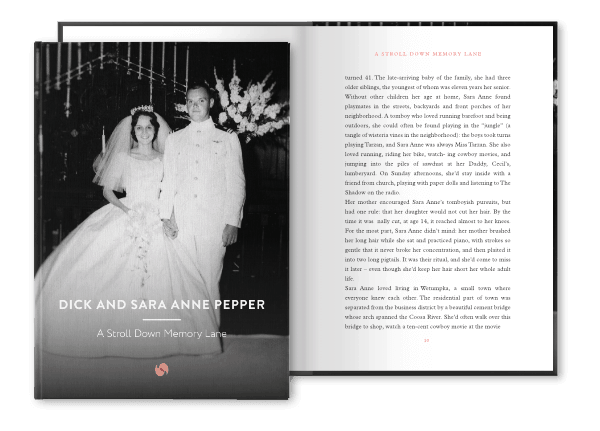 I will certainly recommend this to other families and friends…"
"A Stroll Down Memory Lane"
Our biography packages start at $1900.